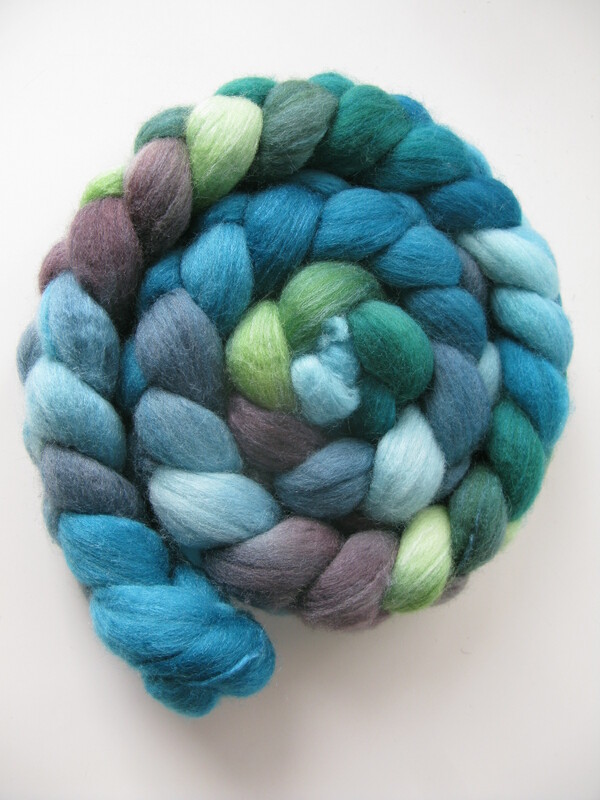 The spinning fibre is from Three Waters Farm, it’s a polwarth silk blend. 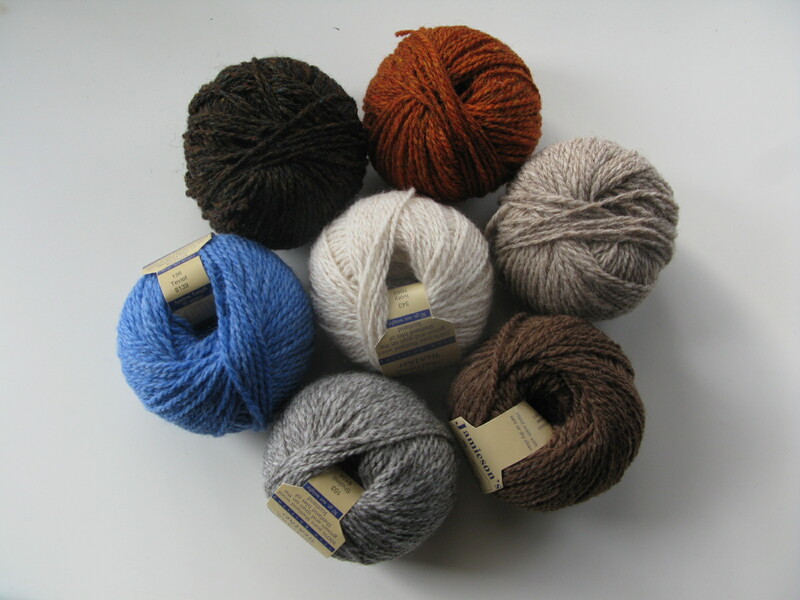 This skein of laceweight merino from Welthase. 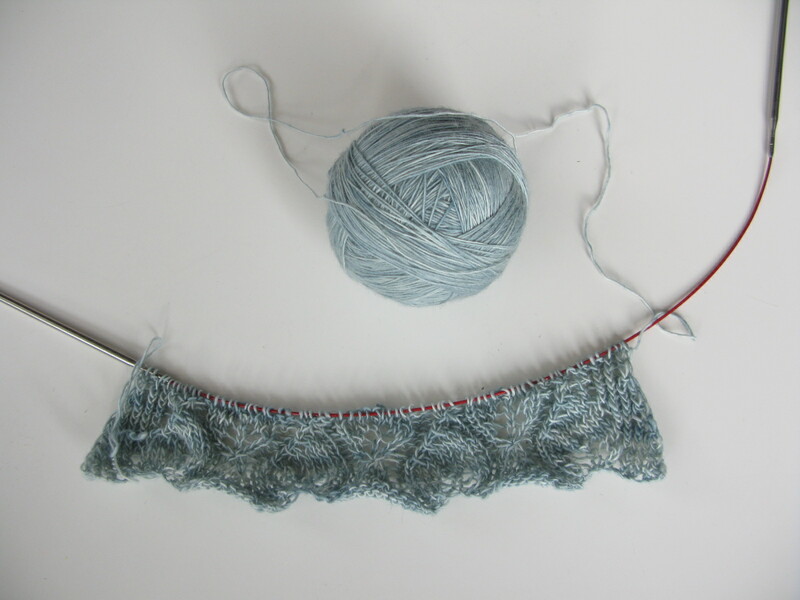 It’s going to be a scarf with a lacy leafy kind of pattern. And my little brother got me a skein of Abstract Cat yarn. 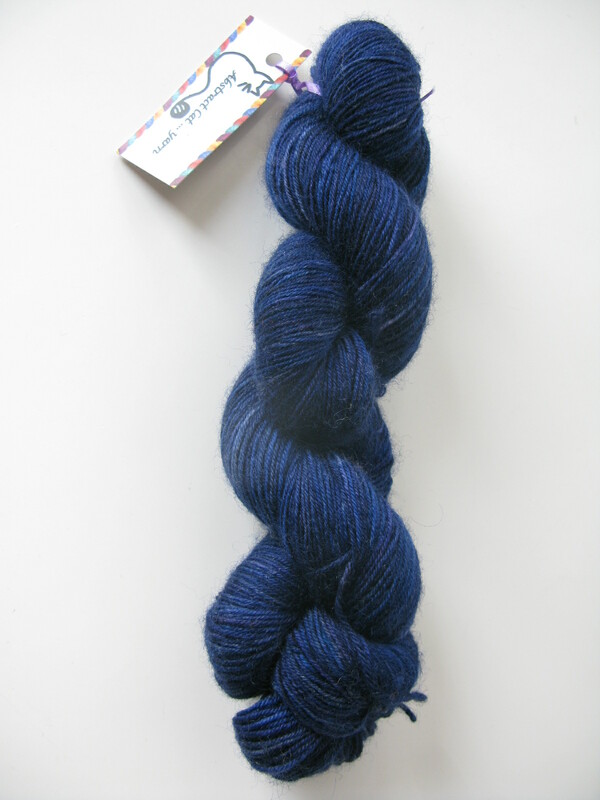 It’s handdyed, sockweight bfl, not sure what I’ll knit with this but the yarn is gorgeous! Sorry to be such a show off! 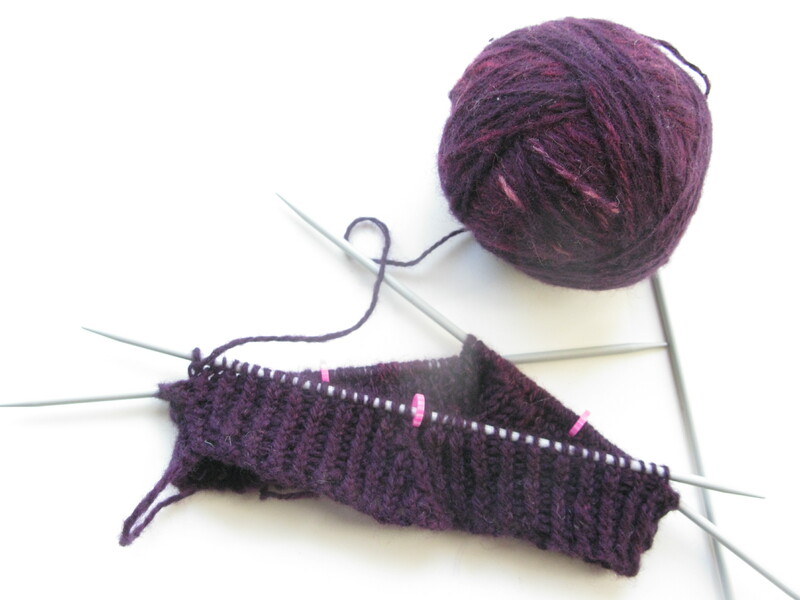 Knitting wise this week, I have finally made a start on a second project with my gradient batt yarn. I started knitting up a shawl, but was wildly overoptimistic when planning how far the yarn would go, so it’s been ripped back and is being knitted into a hat. You can’t see very clearly, but it’s twisted 1×1 rib split into 6 sections which will spiral round. Hopefully lots of progress will be made by next week and you’ll be able to see what I mean! 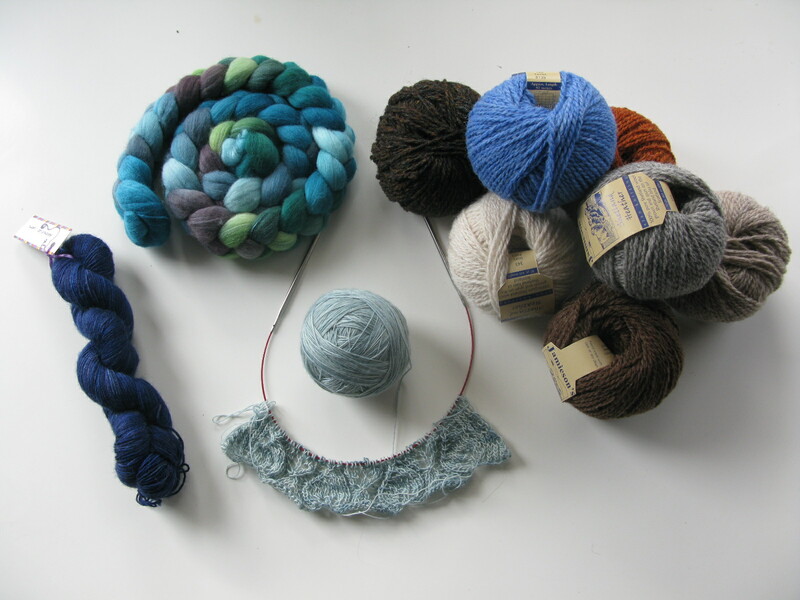 All of your birthday goodies look so gorgeous, especially that fiber. I love Three Waters Farm!